World champion Peter Sagan attends a press conference in Bergen, Norway on September 23, 2017, a day before men's road race at the UCI Cycling Road World Championships. 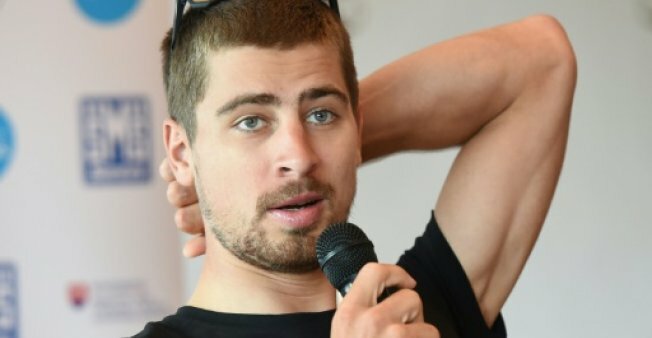 BERGEN (NORWAY) - Reigning champion Peter Sagan admitted on Saturday he hasn't yet ridden the world championship circuit in Bergen, Norway and has no intention of doing so before Sunday's race. World champion in Richmond two years ago and Doha last year, the 27-year-old Slovak can equal the record number of rainbow jerseys won by the likes of Belgian great Eddy Merckx if he triumphs on Sunday's 276.5km race. And if he does, he'll be the first person to win three world titles in a row. But Sagan was typically laid back when meeting the press on Saturday, insisting he has no intention of checking out the 19km circuit that will be ridden 12 times following an initial 40km ride from Rong to Bergen. "We have to do the lap 11 times or 12," quipped Sagan. "That's a lot of time to see it." Asked if he still had a chance to ride the circuit before Sunday's race, Sagan added: "It's a possibility, yes, but I don't want (to)." As for the tactics he would employ, whether to try to get away in a break or wait for a bunch sprint finish, Sagan simply shrugged. "I don't think about this scenario, you can see just in the last lap or the last two laps what's going to happen, not before. "I don't expect anything, I don't prepare anything, I just see in the moment." Following several drizzly days in Bergen, though, Sagan did express one sentiment. "For sure it's better if it's sun, who wants to ride in the rain for 270km?" In his typically deadpan manner, Sagan also dismissed any talk about potential history-making. "I don't like to speak about the future or history. What's going to happen will happen. "I'm like last year -- I've got nothing to lose. I'm here to enjoy, I'm very happy already with what I did the last few years and I want to enjoy tomorrow." Reigning champion Peter Sagan admitted on Saturday he hasn't yet ridden the world championship circuit in Bergen, Norway and has no intention of doing so before Sunday's race.